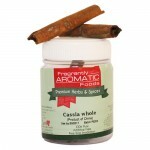 A pleasant warm aroma, these rather pungent pods with small seeds are used in both sweet and savory dishes. A pleasant warm aroma, these rather pungent pods with small seeds are used in both sweet and savory dishes. 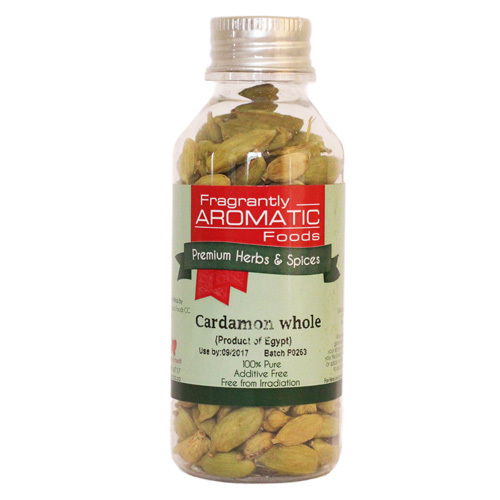 With elements of camphor and eucalyptus with slight lemon notes cardamom pods are often used in Indian cooking. 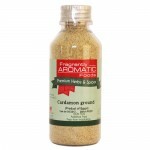 Cardamon is a stimulant and it cools the body in the heat and aids digestion.